What Are Coffee Bags? And What Are They Made Of? Do you love coffee? Do you consider yourself a coffee connoisseur who could never settle for instant coffee? Well, coffee bags could well be for you. Do you ever think, ‘wouldn’t it be great to have the real coffee flavour without all of the hassle of using all of these gadgets?’. Coffee Bags give you the convenience of an instant coffee but with the arabica coffee taste you are looking for. But what exactly are coffee bags? And what are these coffee bags made of? Our below blog post takes an in-depth look at what coffee bags are, how they are used, where you can get your hands on these convenient little bags. So, what are Coffee Bags? A Coffee Bag is a heat-sealed material bag which contains roasted and ground coffee, which can be used as an individual coffee serving in a cup or mug, simply by just pouring over boiled water and brewing for 2-5 minutes. Coffee Bags contain all the flavour and aroma you would expect from your typical barista style coffee, except with the convenience of a tea bag. It really is as simple as coffee bag, mug and water! That’s it! Fresh ground coffee in a bag, just like a teabag, but bursting with fresh coffee taste, just as if you had ground the coffee yourself from the coffee bean! What are Coffee Bags made of? Coffee Bags can be made from a variety of substances which include paper, corn starch based products, and degradable spun-bound non-woven fabric which is the one we use here at the Real Coffee Bag Co. The bags are then filled with the blend or ground coffee of your choice. Each material has its own attributes, and the ones we use are specifically designed for decocting – or brewing from within the bag. The aim is to have the minimum of escape from the product inside, and the maximum flavour of the coffee. Our material allows the important oils to be released from the ground coffee inside the coffee bag. This means that the flavour you get from our coffee bag is the same as putting the coffee into an open filter or percolator. There is no taste from the material transferred to the coffee. The material is also very strong, and will not burst, unlike other less robust materials. A coffee bag can be used similarly to the way a tea bag is used. Simply add the coffee bag to your mug, pour over your boiled water, and brew for 2-5 minutes. The best way to use your coffee bags is to think of it as making your own mini percolated coffee, but instead of using coffee grinds that will be difficult to clean away, they are tightly secured in your coffee bag. You simply need to put the coffee bag into your cup or mug – there are 9 grams of coffee in each coffee bag, so they will offer a strong flavour up to a 10oz cup (approx. 300ml). You can watch our below video to get a good idea of the best way to brew your coffee. Are all Coffee Bags made the same way? There are many different formats of coffee bags on the market. Some are round, some are square with four seals, and some, like ours, are square with 3 sealed sides. The fewer the seals, the less likely that your coffee bag will burst, and this, coupled with the good material strength and strong elasticity of our bags, will guarantee a good cup of coffee from your coffee bag every time. So, where can you buy coffee bags? Coffee Bags can be purchased directly from here at the Real Coffee Bag Co! Simply head to our shop, and discover our fantastic range of flavours! With everything from classic blends such as our Colombian Pure and Home Blends, to more unique flavours such as Hazelnut or Salted Caramel, we have something to tickle everyone’s fancy! If you would like to find out some more information regarding our range of Coffee Bags, or to enquire about how to order, then please get in touch today. You can get in touch by using our contact form, or by emailing us at: taste@https://realcoffeebagco.com. Alternatively, if you would prefer to speak to a member of the team via telephone, then please do so on: 01743 588088, and a member of our helpful staff will be happy to assist you. 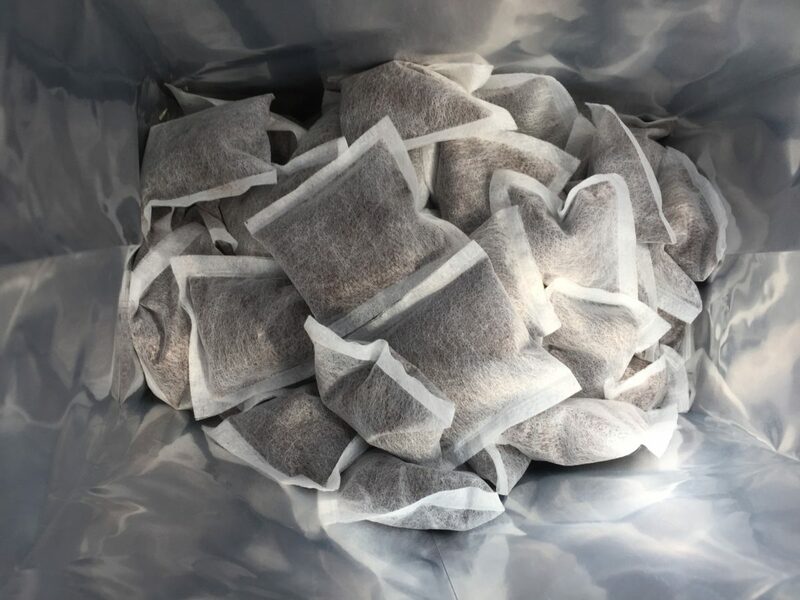 Coffee bags offer a really quick alternative to conventional coffee methods if you’re stuck in the office or at home – a lot of people are sceptical, but it’s worth remembering tea bags were contentious! It would be helpful to know if I can fling the used bags onto the compost heap. Hi Our coffee bags are not compostible but they will degrade over 1 year, so if you can wait they should disappear!